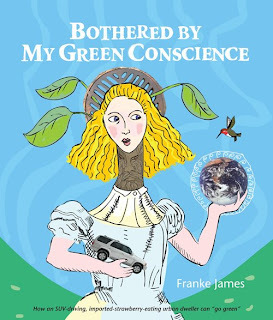 Please check out my review of this little gem of a book over at The Blogging Bookworm and then leave your name HERE, at The Green Phone Booth, to be entered to win my copy of Bothered By My Green Conscience, which documents artist and author, Franke James' journey from SUV driving, imported strawberry eating urban dweller to an eco-Alice. Come back to The Green Phone Booth next Friday to find out who the winner is. UPDATED: The giveaway is closed as of July 21 9pm. Please check back on Friday to find out who the lucky winner is. I would love to read this book, sounds interesting. 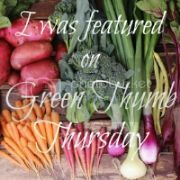 My green conscience is in overdrive these days so I'm interested!